Corporate catering in Melbourne is extensively progressing. One can find out a number of names serving food to the corporate sector, but the best and unique services are provided to the corporate sector, is by Catering Melbourne. They have been the most successful caterers in Melbourne. They have become successful in capturing a large number of corporate offices, as their clients. Catering Melbourne has a team of highly efficient chefs who are extremely professional in their work. The clients of Catering Melbourne, enjoys the mouthwatering food which is lavishly served to the corporate clients. They have been successful in serving the food to the corporate sector of Melbourne, which has boost up their image, across the city. Their clients are highly satisfied with their services and quality of food they have been serving since years. There are several occasions celebrated by the corporate sector including inauguration parties, welcome and farewell parties, board meetings and a lot more. 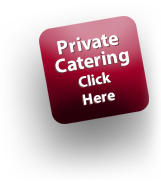 Catering Melbourne has specifically designed special menus according to the nature of an event. They minutely check the details, before the delivery of the food. It is the aim of Catering Melbourne to deliver the food as hot and fresh as it has come out from the oven. On time delivery is also one of the biggest issue, which Catering Melbourne has been dealing with great perfection. It is important to deliver fresh food on time, to the offices. They have been successfully delivering the food for long meetings. There are meetings, held for various hours, in the corporate sector. During these meetings employees, high officials including board of directors, the clients of these organizations and a number of employees participate. There are several sessions in such meetings, during which the people, who are participating in the meeting are supposed to be served with food, which can be finger food and some exotic drinks. Catering Melbourne designs a menu for such meetings, according to the number of people, supposed to be served and the time, the meeting is going to be held at. A full fledged designer menu is prepared for their clients, which is according to the demand of their customers. There is a wide range of food items available for the customers to choose from including sandwiches, meat, cheese, savory, rolls, cakes, pastramis and a lot more. Now here’s the solution for the food to be served in the long meetings, go and order get you menu designed by Catering Melbourne, for your long meetings.